Powerful Voices is all about creating space. 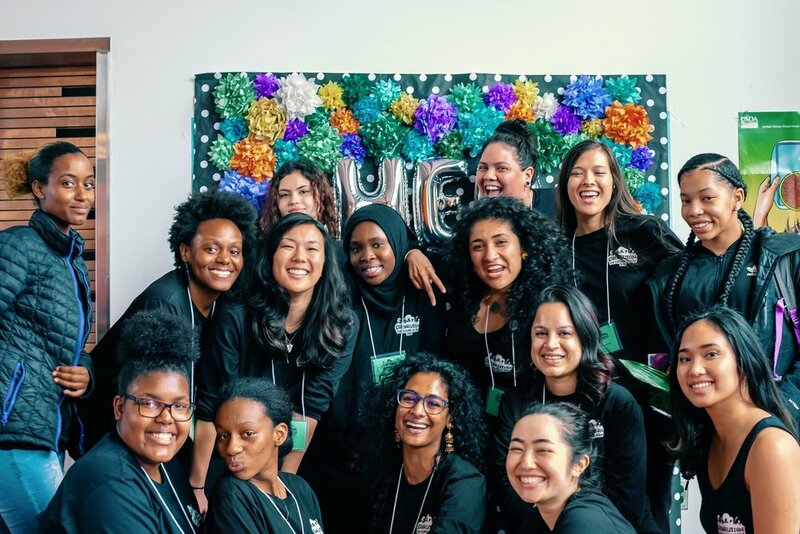 We are a fully femme, womxn, non-binary staff of color that aims to build a place where young girls* of color can feel brave enough to share their truths with us and then the world. Since 1995, we have created gender-specific, social justice programs for 11-19 year olds so that they can be equipped with communal knowledge and platforms to speak up. We also resource share and partner with organizations, individuals, and businesses alike to re-frame what it looks like to support and be led by young people. We co-create solutions with young girls* of color. Girls* are the experts of their own experiences. Young folks, particularly girls of color, hold wisdom and brilliance in how they navigate their worlds. But too often, the systems in place deny that power to shine - in school, in home lives, in policy, and more. In order to build a new world, we know that we need to trust in the expertise of young people and to work alongside them in order to see justice. We build authentic partnerships with community. Our work is fueled by many brains, stories, and offerings. It takes resourcefulness to move forward towards girl* justice. Our partners are present where they can be, are intentional in what they share, and are moved to put young folks first in their practices. Ranging from individuals, to organizations, to small businesses, to corporations, let's work together to see where you fit in the Girlvolution.